RTL Group has agreed to buy UK-based video advertising technology company Yospace for US$33 million (€29 million) as its moves forward with its ‘Total Video’ strategy. Yospace’s server-side dynamic ad insertion technologies enable adverts in broadcast streams to be replaced with more targeted advertising – something that RTL described as complement to its current ad-tech stack. 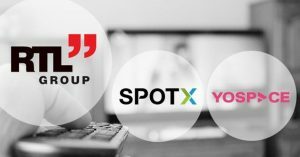 RTL previously acquired another ad-tech company, SpotX, in August 2017. With the Yospace purchase, it said it will continue to expand SpotX into a “leading, independent monetisation platform for broadcasters, video-on-demand services and publishers”. Commenting on the deal, RTL Group CEO Ber Habets said that the Yospace acquisition will help to drive two strategic goals: “First, we gain a competitive, fully integrated and profitable solution which is key to further grow our ad-tech business. Yospace focuses on the premium streaming segment, which RTL described as the fastest growing and most significant market for SpotX. Yospace’s customers include companies like BT Sport, TV4, ITV, and Seven West Media. SpotX CEO, Mike Shehan, said the Yospace deal demonstrates RTL’s commitment in expanding its OTT, online video, and subscription video-on-demand capabilities globally. “The acquisition of Yospace secures SpotX as a key technology to win, retain, and scale premium media clients, including RTL Group broadcasters and streaming services,” said Shehan. “SpotX has been and will continue to be partner agnostic, and this investment by RTL will not impact our relationships with other server-side ad insertion technology vendors. Under the terms of the deal, RTL Group will appoint three of Yospace’s five board members. Sewell and chief technology officer David Springall will continue to manage the day-to-day operations of the company. RTL Group will pay up to US$33m for Yospace before cash and debt adjustments, including upfront and performance related components. The deal is expected to close on February 1, 2019.